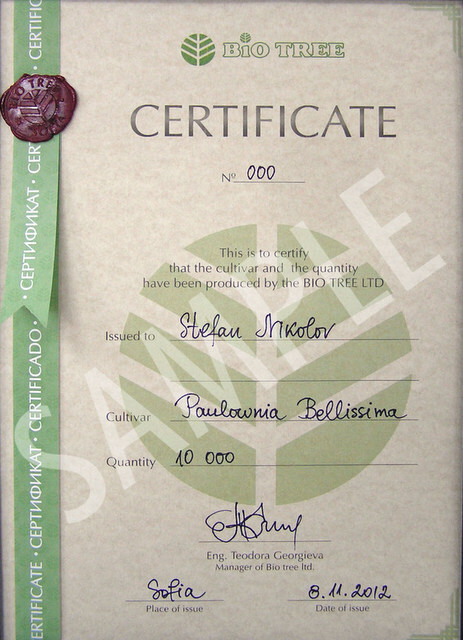 Bio tree produce and sell high quality plantig material of blueberries. The planting material of blueberries is produced only upon preliminary order. Triple crown is a new blackberry cultivar that has stable yields from a very large fruits for number of years. Its fruits are juicy and aromatic, and the ripening period lasts for 30 days. The plant is semi erect and is able to bear heavy fruits without a support structure. Shoots are thornless. The variety gives the best results when grown in humid, organic, slightly acidic but well-drained soils, full sun or partly shadow. Does not tolerate over wet soils. In highly clay soils, the elevation of the beds in which they are planted is advisable. All the fruiting canes are removed by cutting to the ground immediately after the pickup. For the rest of the canes only the top end is removed. The fruits of JUMBO are large, weighing up to 25-30 grams, sweet, with a pleasant taste, without acidity and bitterness. They can be transported and can be refrigerated for 7-10 days. The cultivar is fruiting from the end of July till September. Productivity is high and reaches 20-25 kg per bush. The bush shrub is powerful with vertically growing shoots, but needs a supporting structure. Tolerant to heat and resistant to many diseases specific of its genus. The blackberry BTJ does not possess thorns. 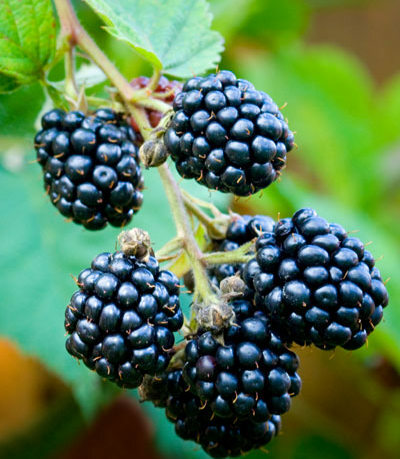 A popular variety blackberries without thorns. The fruits ripen in the period from August to October. Big and juicy oval fruit. Hard to break off from the handle. Variety is resistant to diseases, actively growing and easy to cultivate. 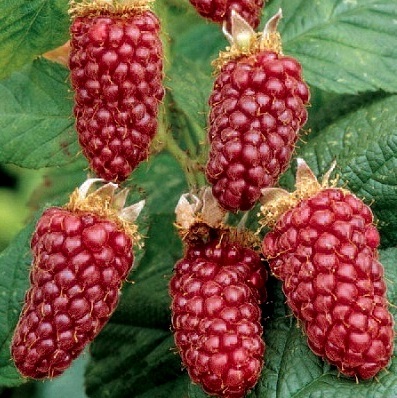 A hybrid between a blackberry and raspberry. 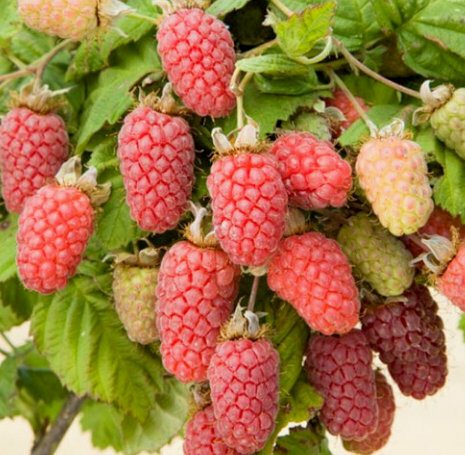 Fruits are sweet, much larger and more aromatic than those of Loganberry. The fruits are for fresh consumption or for industry. The peduncle is difficult to separate from the fruit, making them difficult for machine harvesting. The plant is prickly. A hybrid between a blackberry and raspberry. The plant and fruits resemble more of a bush than a raspberry but the fruits are dark red and not black. Grown for industry needs and for home gardens. There are no spines.